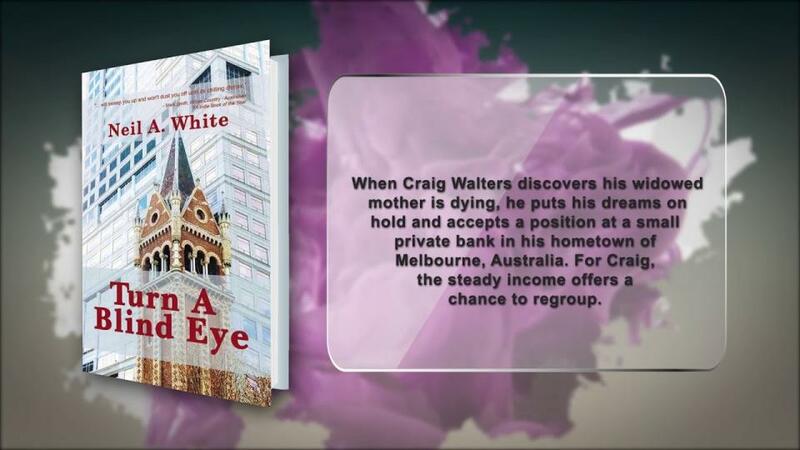 When Craig Walters discovers his widowed mother is dying, he puts his dreams on hold and accepts a position at a small private bank in his hometown of Melbourne, Australia. For Craig, the steady income offers a chance to regroup. However, his indoctrination into the banking world quickly deteriorates when believing he’s stumbled upon an elaborate fraud scheme. His covert digging into the bank’s files for confirmation promptly sets off alarm bells that reverberate around the globe and unwittingly lays bare a more in-depth, sinister plot. Linking Melbourne with modern-day Irish politics, and the unlimited power and reach of the Vatican, an intricate web of corruption and unbridled greed is spun, that entwines all that come in contact. And whether to Turn a Blind Eye becomes a matter of life and death.